If so then why not talk to us? Peak District SEO have plenty of experience of working on Multi-Million Pound eCommerce Websites. Regardless of what platform your ecommerce website runs on, we can help. The majority of our experience lies with Magento, Shopify, Opencart and WooCommerce but we have worked an almost all the major ecommerce platforms and evaluate all work thoroughly before sending out quotes. If you want to know more about what might be holding your ecommerce website back, get in touch. Let us Check Your Site For Errors. How is Ecommerce SEO Different To Normal SEO? Ecommerce SEO still requires a mix of technical SEO, On page, off page SEO, some social media and maybe some paid marketing. Most of all it requires a whole heap of patience and hard work. The main aim is getting you more leads and sales. Visitor numbers matter but we want them to convert into customers. It’s no good paying for a couple of months work and expecting your sales to skyrocket. I mean, that could happen, but it’s likely to take a lot more work than that. ecommerce SEO takes time because usually ecommerce sites have a lot more pages than the average brochure website. There are informational pages, Category pages and product pages, lots and lots of product pages. Price is always relative, but we have fixed rates. We don’t adjust the price up if we think you have money in the bank. We always offer a choice of work packages based on the amount of work that needs doing. 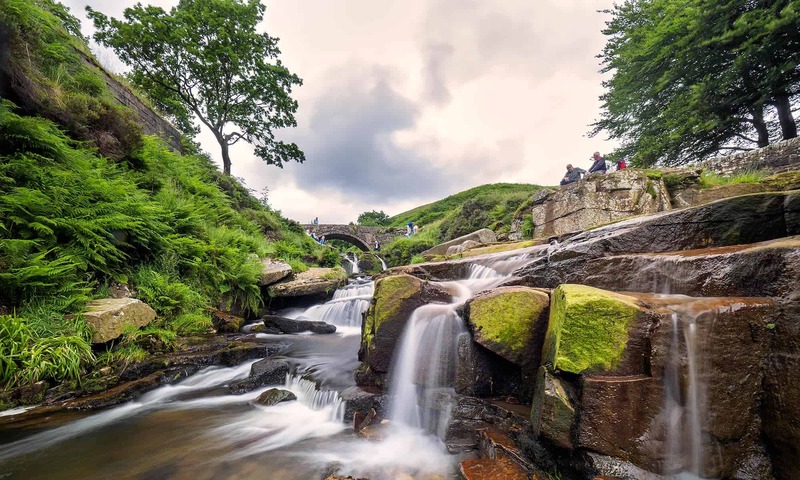 Nevertheless, you’ll find that Peak District SEO offer affordable rates for SEO and PPC that will allow your ecommerce business to grow year on year. The majority of companies with ecommerce websites will come unstuck at some point. We’ve seen businesses start doing their ecommerce merchandising with the best of intentions, fifty products in and they are completely bored. Then they start copy/pasting the same titles and descriptions on every product, you know, “just to save time”, when in fact, they are creating a nightmare for themselves further down the line. We’ve seen sites with thousands of products that all have the same title and description, just because ‘some bright spark’ decided a plugin that offered a ‘one-click fix’ was the answer to all their problems. Ignore ‘one click fixes’, ignore claims of ‘automated solutions’, humans understand user intention, humans, understand data, humans write passionate engaging content. Good titles and descriptions have to be thought about, and they have to be written by hand. Images make a website right? How many times have you heard that? Well to some degree, it’s true, but they can also BREAK a website. All too often we see ecommerce sites with terrible, terrible images. Your images shouldn’t be too small or too large. They should always be named and labelled well. Blurry images tend to be a hangover from the days when we all had to over-optimise images because we all had terribly slow internet. Whilst the UK isn’t known for its lightning internet speeds, it’s certainly good enough to handle decent quality product images on ecommerce websites, so you don’t need to OVER compress images. *You should still compress your images. Try to remember though that your product images don’t need to have huge physical dimensions. They just need to be clear and properly illustrate the product. If your images are too big they just slow the site down and make your pages load too slowly. Name your images properly and give them an ‘alt tag’ that reflects the product. Then you’re going to have decent images. Even then, don’t rest on your laurels, keep an eye on the product, has it changed? Watch what your nearest competitor is doing. Are they presenting the products in a more engaging way than you? If so, you need to respond. It’s important to create easy to type and easy to remember URLs. Not just for customers but for search engines too. URLs or web addresses, as many people know them, reflect the location of pages and content within your website. Having simple web addresses will help your site. The longer the URL the harder it is to remember it, the easier it is to make a mistake if typing it. URLS reflect the structure of your website. It’s really important to plan the website before building it. We can always tell the sites that haven’t been well planned because their URL structures are poorly put together. This URL is just too long. Whilst it does reflect where the shirt is located and what the product is, it could be presented better. We don’t need the colour, or size in the URL and the product name could be more appealing. This URL uses capital letters. It’s not the end of the world, but it can lead to mistakes when you are sharing the links, or if people are typing the links by hand. If someone uses lowercase instead of uppercase, the link will break and the user will see a 404. Keep URL all lowercase. This URL uses underscores. Again, not the end of the world but when the URL is displayed as a link and the link is underlined (depends on the site stylesheet) you can’t see the underscore. Also when a search engine reads URLs with hyphens, it ignores them, so it will only see “calvinklein”, which may confuse it. So keep it simple and use hyphens to denote gaps between words. We see many of these issues when looking at older ecommerce sites. In 2018 there are plugins and extensions that help your website URLs to be better optimised and present better more user and search engine friendly URLs. Search engine and user-friendly URL example. How hard could it be? Details like the colour and size can be chosen via filters on category pages or options on the product pages. Of course, we’ve hardly scratched the surface, but there are literally hundreds of things you can do to improve your eCommerce site, here are a few more. Alternatively, you could speak directly to us about getting your site appraised. It’s completely free and should help you to make some clear decisions about how to get started. Got More Questions About Ecommerce SEO?